The Adoption Program allows you to adopt one of our animals here at Tiger Stripes. The cost is from $50.00 to $75.00 donation per year (depending on which animal you choose to adopt) and you will receive an 8 X 10 color photo, Certificate of Adoption and a Bio of the adopted animal. 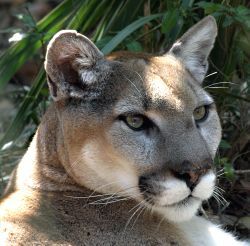 Your donation will help care for and maintain the adopted animal and his/her habitat area. Adopt an animal for a loved one, your classroom, dance class, boy/girl scout troop, daycare or a great gift for that special someone that has everything!